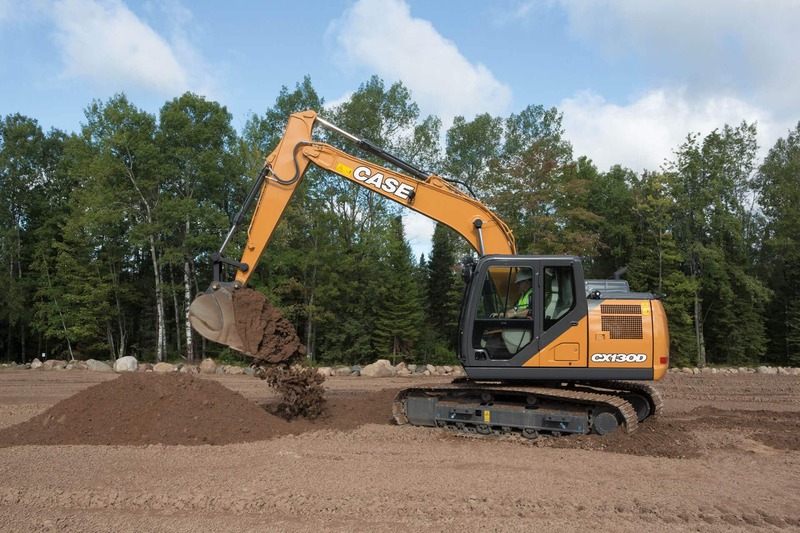 The new CASE CX130D excavator provides greater fuel efficiency, more digging power, higher lifting capacities and better controllability. 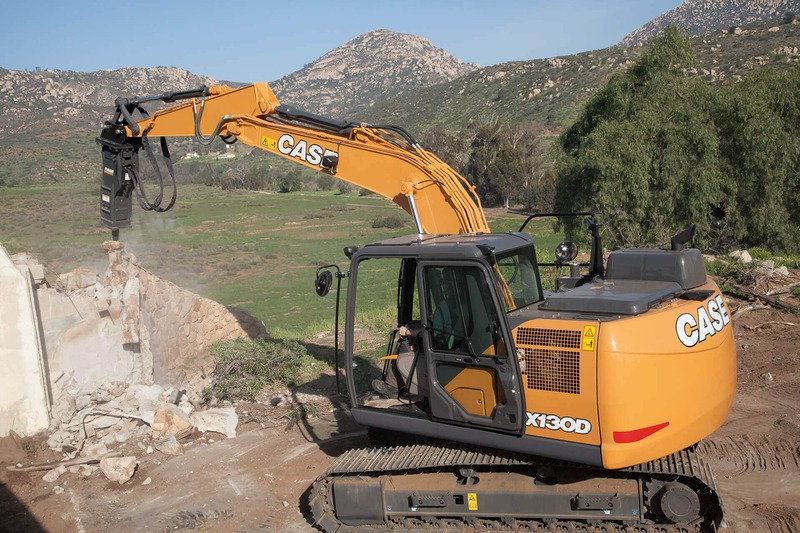 In addition to the high precision and smooth control of our CASE Intelligent Hydraulic System, the CX130D has a new electronically controlled hydraulic pump, a larger control valve and solenoid valves. Maintenance is a breeze with standard oil sample ports and grouped service points. Achieve up to 5% faster cycle times and greater power thanks to an improved hydraulic system with a new electronically controlled hydraulic pump, a larger control valve and a new solenoid valve. Craning an uneven load? Activate the standard Free-Swing feature for improved control. Working at night? Opt for the new LED light package. To help tailor the machine to the operator and the application, a control pattern selector and power mode selector both come standard. An efficient, SCR solution lets the engine run at peak performance to provide full throttle response throughout the work cycle while still meeting Tier 4 Final emissions regulations. And without a Diesel Particulate Filter to replace, SCR is simple too. Simply add a little Diesel Exhaust Fluid during fill up and go. 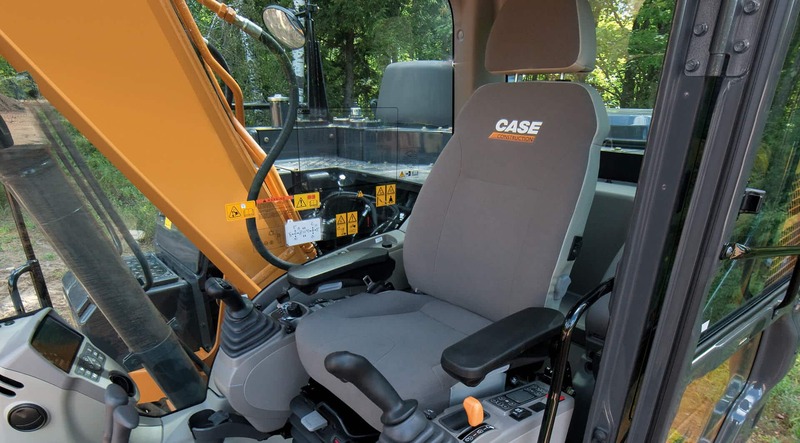 The new and improved cab provides comfort like never before. There’s more entry room and foot space. The air-ride seat is larger to reduce pressure points, slides fore/aft, tilts, offers “lie-flat” reclining, has an adjustable lumbar system and a built-in heater. An innovative armrest design adjusts independently of the console while still ensuring joysticks are always comfortably within reach. Even the pedals can adjust ±22° to suit personal preference. There’s also a Bluetooth radio and climate control system that responds to sunlight. The 7" widescreen color monitor provides a constant rear camera view for increased awareness. When you invest in CASE equipment, you need it to last. We make it easy. 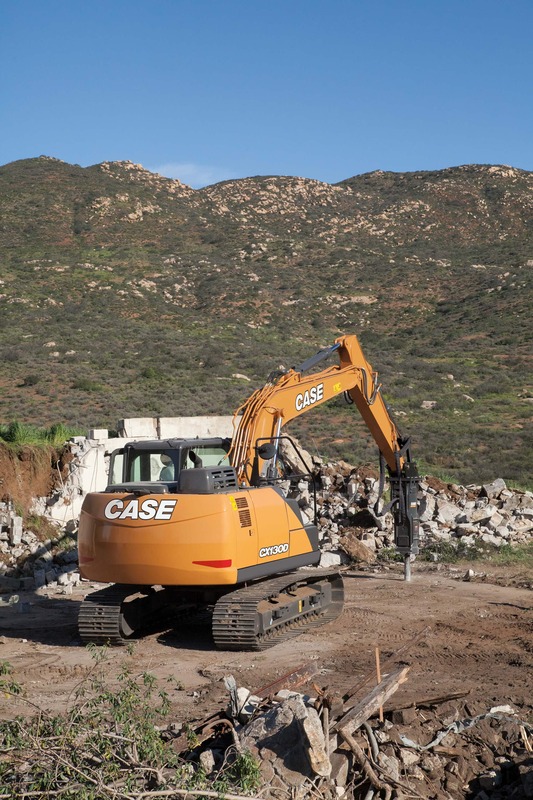 D Series excavators are no exception. A standard oil sample port allows for quick visual checks of engine oil and hydraulic oil while grouped service points, tilt-out coolers and auto-locking side panels that stay open make it easy to perform routine maintenance. We even added new handrails to make it easier to get around the machine.